OPEC probably won’t need to extend a deal it reached with other crude producers to cut output, given the level of their compliance with the reductions and the outlook for an increase in global demand, Saudi Energy Minister Khalid Al-Falih said. The re-balancing of the oil market should take place by the end of the first half of the year, Al-Falih told reporters during an energy event in the United Arab Emirates capital of Abu Dhabi. Demand will pick up in the summer, and OPEC wants to make sure markets are well-supplied, he said. 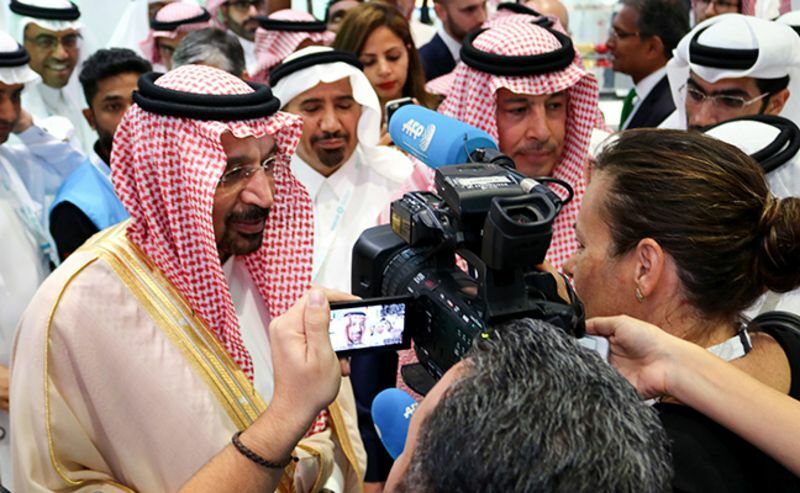 Saudi Arabia is due to meet fellow members of the Organization of Petroleum Exporting Countries in May at their bi-annual meeting in Vienna to assess the market and the group’s production policy. OPEC states will also gather with major producers outside the group later this month in the Austrian capital to monitor their compliance with the production cuts, which aim to reduce inventories and shore up prices. Benchmark Brent crude futures were trading 10 cents higher at $55.55 a barrel in London at 9:54 a.m.
OPEC’s decision on Nov. 30 to cut output reversed a two-year policy that let members pump all they wanted to try to maximize sales — a strategy that had contributed to a worldwide glut. The producer group, together with 11 other countries including Russia, is seeking to reduce supply by about 1.8 million barrels a day. The cuts took effect on Jan. 1 and are to last through June. Saudi Arabia has cut production to less than 10 million barrels a day, below its targeted level, and is currently producing at a 22-month low, Al-Falih said Jan. 12 in Abu Dhabi. The world’s biggest oil exporter had agreed to trim output by 486,000 barrels a day to 10.058 million as part of the global accord on supply. “We will strictly adhere to our commitment and be at our cap, or as is the case now, slightly below it,” Al-Falih said Monday.